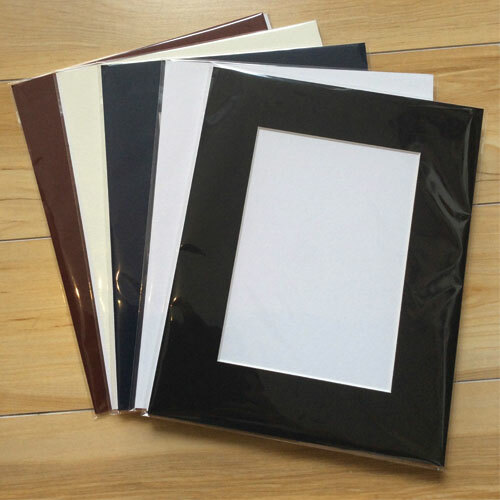 High quality grade acid-free white core professional framers mat board. 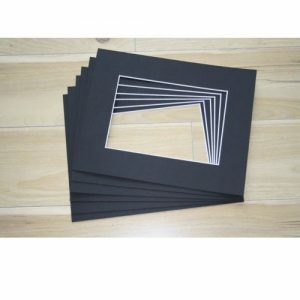 Cut with a computerised mat cutter for absolute precision. Ideal for picture framing photos, post cards, prints, scrapbooking or any art presentation. Ideal for artists, photographers or craftspeople wanting to market their work in a professional manner. The window of the mat will cover approx 3mm of each of the side of the photo or artwork. The mats will fit into a standard A3 (420 X 296mm) frame with approx 3mm play. 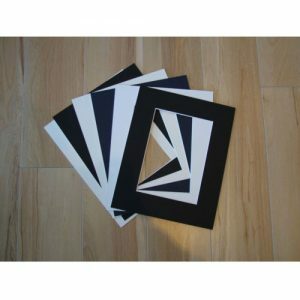 COLOUR: White, Black and Off White. Please indicate which colour you would like. Other Mount Kits also available, please contact us in regards to pricing.